Are you fully prepared for a successful career in IT? The most effective IT professionals possess a particular set of skills�five of them, to be exact. Your mastery of the five critical skills is critical to your career success. These five skills will, when mastered, allow you to positively influence not only your career, but also the people around you, and even the world. In any field, you must have the technical skills necessary to solve technical problems quickly and permanently. In addition, your technical skills must be deep enough to allow you to anticipate and prevent future problems. You gain such a deep level of skill through education, reading, experimenting, and experience. Attend seminars, workshops, and conferences. Go back to school and take courses related to your field. Work on professional level certifications. Set up test labs at home or in the office using virtualization tools. Strive to be the best in the world at the technologies your support. The second skill is compassion, the act of caring about the well-being of another. Being compassionate means having a profound awareness of another�s suffering combined with a desire to alleviate it. When our end users and customers place themselves in our care, they are first and foremost human beings. We may not like their political views, we may not like the way they look or act. We may not like anything about them, but they are still human beings deserving of our care, understanding, and respect. When you genuinely care about what happens to other people, when you are truly compassionate, you instinctively look for ways to better their experience. Empathy is the ability to connect with another individual emotionally�to feel what they�re feeling. It�s often known as �putting yourself in someone else�s shoes�. The use of empathetic phrases, such as �I�d feel that way, too, if it happened to me.�, or �I can see how frustrated you are and I don�t blame you� goes a long way in establishing and building relationships. It�s also important to be authentic in your empathy. If you simply can�t relate to the other person�s situation, it�s okay to say so when you combine it with honest human understanding. For example, you can say things like, �I�ve never been in your situation, so I�m not going to tell you I understand. I can�t even imagine what that�s like, but I am going to do everything possible to help you.� Be careful though; if you�re simply saying the words without trying to understand what the other person is going through, you�ll come across as phony or condescending. The key is sincere, human-to-human empathy. The fourth skill is the ability to listen, meaning that your sole focus is on what the other person is saying. It takes practice, so don�t expect to master this skill the first time you try it. Effective listening means focusing on the other person instead of yourself. Many listen attentively, but while they�re listening, they�re also preparing their response. To be a great listener, focus entirely on understanding what the other person is saying. A technique that can help is to listen as though you�re going to be tested on what is being said. If you know there�s a quiz, you�ll find a way to sharpen your focus on the speaker! The fifth critical skill is the ability to treat everyone with respect, regardless of how you might feel about them. In fact, it�s not necessary to respect someone to treat him or her with respect. Respecting someone is a matter of how you feel about that person and whether they have earned your respect. It�s internal to you. Treating someone with respect, however, is external. It�s about your behavior and, frankly, is a reflection of how you feel about yourself. People who have a high level of self-respect, tend to treat everything about them more respectfully. In your role as a provider of service to people, you may find yourself dealing with others whom you don�t like or respect. You maintain your own dignity and self-respect when you treat all living things respectfully. The interesting thing is that, when you begin to apply these principles in your interactions with end-users and customers, they start to become second nature. You will stop worrying about your differences from others and start enjoying your interactions. In the process, you will intuitively provide outstanding customer service or end-user support. By developing deep technical knowledge, living compassionately and with empathy, by listening, truly listening, to the people around you, and by treating all living things with dignity and respect, you will automatically become a customer service master which leads to IT career success. 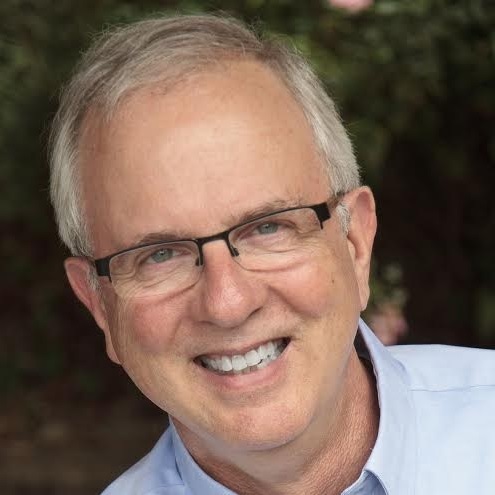 Don R. Crawley, is an IT Customer Service Expert, speaker and author of The Compassionate Geek: How Engineers, IT Pros and Other Tech Specialists Can Master Human Relations Skills to Deliver Outstanding Customer Service. With more than four decades of experience in workplace technology and automation, he is dedicated to helping IT and other technical staff master the art of customer service and communication. For more information on Don, please visit www.DonCrawley.com. Crawley, D., "The Five Critical Skills for IT Success", DSSResources.COM, 02/15/2017. On Wednesday, April 15, 2015 Carter Breazeale provided permission to post this article at DSSResources.com by email. This article was posted at DSSResources.COM on February 15, 2017.